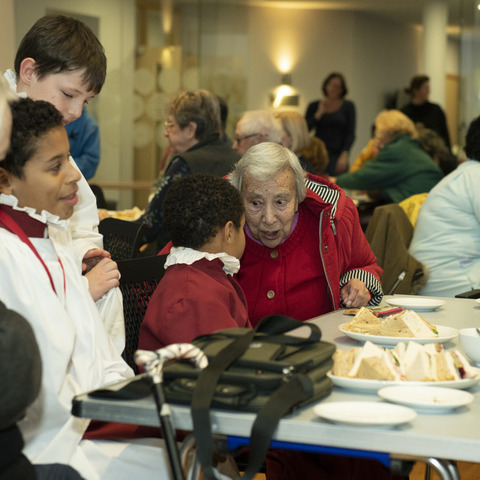 The RGS Godrey Searle Choristers teamed with local charity, Loveworks to host a wonderful teatime concert for elderly residents,and students in the RGS 3rd and 4th forms took to Reigate High Street to collect for the charity’s foodbank. 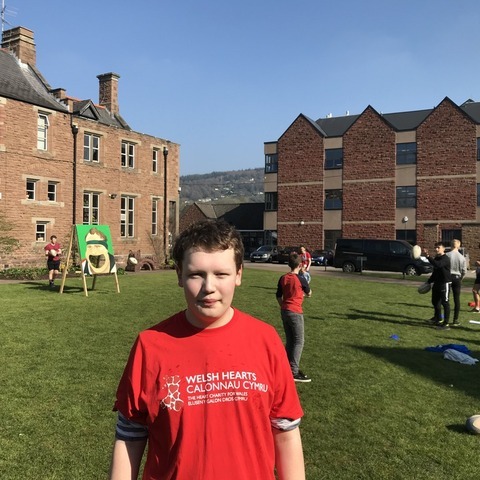 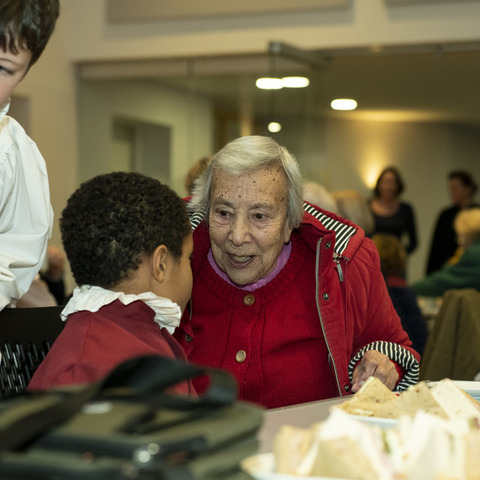 Loveworks aims to improve the lives of some of the most vulnerable groups of people in the area, from the elderly to the hungry. 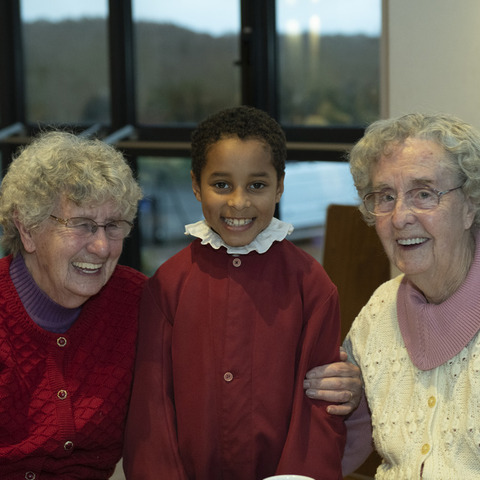 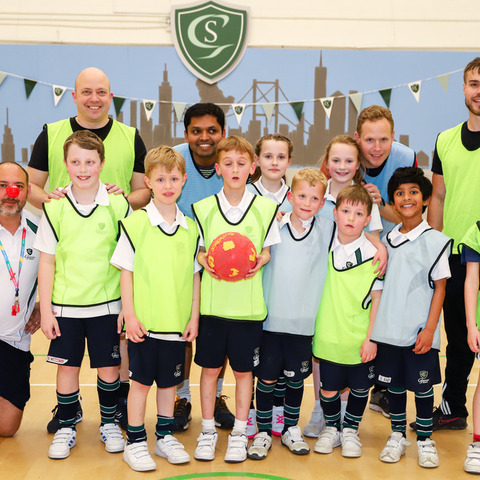 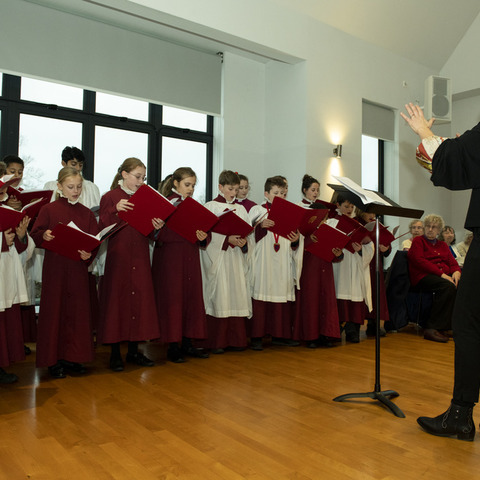 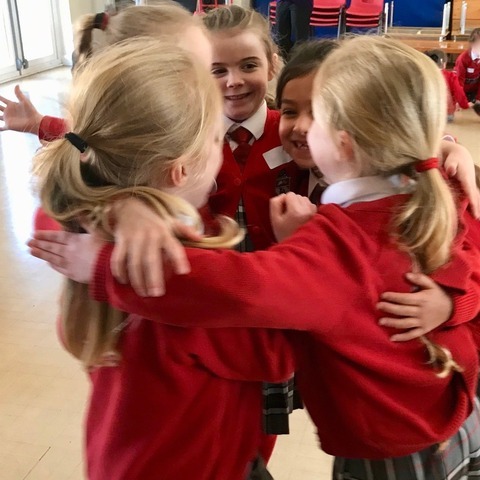 As part of their community outreach, Reigate Grammar School and Reigate St Mary’s joined forces with the Reigate based charity on 26th January to perform a concert for elderly people in the community. 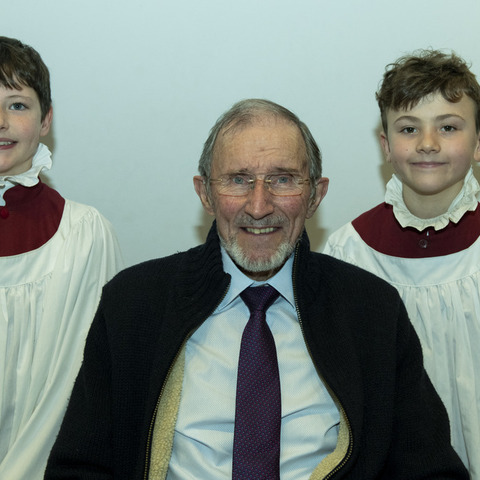 RGS Head of Choral Music, Tali Glynne-Jones devised a wonderful programme of songs which were beautifully performed by the RGS Godfrey Searle Choristers (made up of students from both RGS and RSM) at St Mary’s Church Centre. 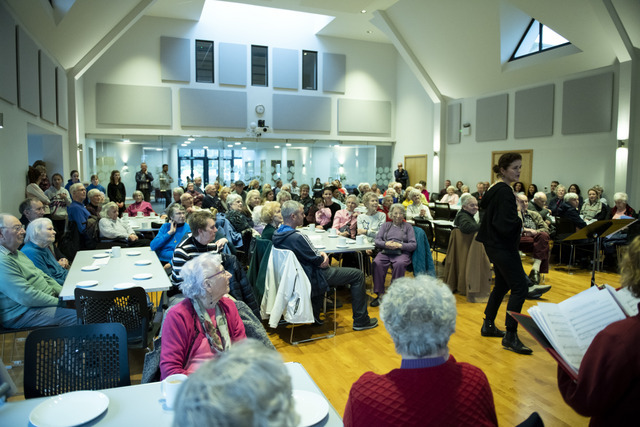 Local elderly residents were invited and the concert was accompanied by a delicious afternoon tea donated by Harrison catering. 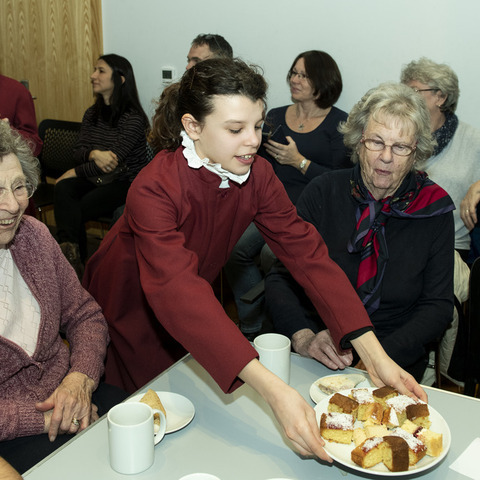 It was served by student volunteers from RGS who, along with the RGS and RSM choristers, chatted with the audience during performance intervals. 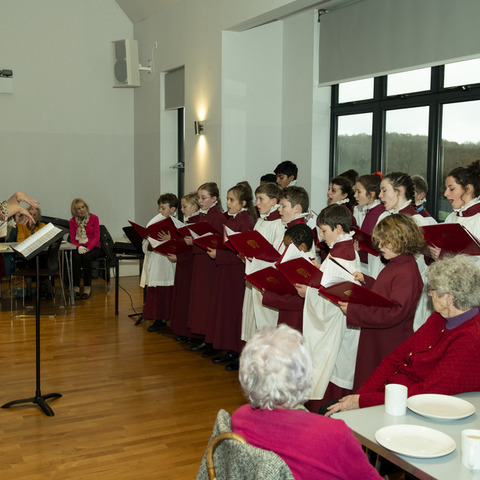 The concert ended with a group ‘sing-a-long’ to some well-known wartime classics which everyone thoroughly enjoyed. 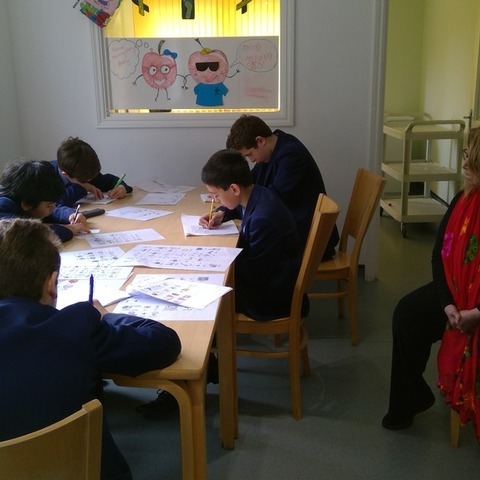 The charity received additional support from the RGS third and fourth form students who braved the January cold the following week to collect donations for the Loveworks foodbank from members of the public on Reigate High St.